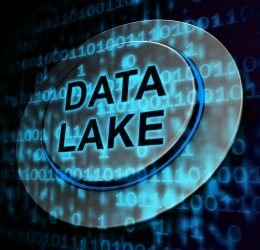 Product Data Lake (PDL) is a fully developed, cloud-based platform that allows business partners to exchange product information. The functionality of PDL is similar to that of DropBox. No matter how and in what form the sender stores and transfers the data, and the trading partner wishes to receive the data, PDL handles the exchange and conversion of the data automatically. PDL can also connect any type of ERP and PIM systems. When one party uploads data to PDL from an ERP or PIM system, the data is automatically “pushed” into the product data lake that converts the data into the format that can be transferred into the ERP or PIM system used by the trading partner. Each partner has a unique profile. The uploading party determines, which information is released and forwarded to the respective trading partner. PDL is developed by specialists with extensive knowledge about and experience with ”Big Data” and ”Master Data Management”. Without any need for human interaction, PDL can handle the rapidly growing demand for exchanging increasingly large amounts of data between business partners across the globe – regardless of the type of business or geographical location.